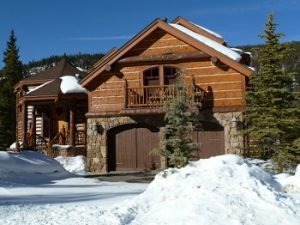 Search all Keystone Colorado homes for sale in Keystone CO Real Estate. Whether you are looking for a Keystone ski home near the River Run Gondola, a rustic home in Keystone near the golf course, a log home along the peaceful Snake River or a cabin with acreage in nearby Montezuma there is a wide variety of options in Keystone CO real estate. Many of the Keystone homes near the Keystone Ski Resort are also on the bus route making these homes ideal for you, your guests and renters. Although if you are looking for a home for sale in Keystone Colorado with more privacy and acreage homes near the Keystone Ranch Golf Course can offer a serene mountain feel. Many of the newer Keystone homes can be found along the banks of the Snake River in subdivisions like Estates at Settlers Creek and the Old Keystone Golf Course Sub. Browse all Keystone Colorado homes for sale below. You can search by price range or utilize our new mapping feature to search a particular area in Keystone Colorado Real Estate. We are happy to run a custom search based on your specific criteria for a home in Keystone Colorado as well. Let Justin and Krystal Knott with LIV Sotheby’s International Realty find your ideal Keystone Colorado home or property in Summit County real estate today.